These numbers reflect estimated student expenses for the 2019-2020 school year. Amounts will change slightly from year to year, but as the cost of college increases, the scholarship packages will correspondingly increase. Your official financial aid award will be included in a letter directly from Columbia. Many Columbia students receive funding from outside organizations. Outside funding may be used to reduce the $3,090 Work-Study Expectation and the $2,400 Summer Work, and/or cover the cost of purchasing a computer (up to $1,500). Outside funding in excess of these amounts will be used to replace the Columbia Grant dollar for dollar; outside funding may not be used to reduce the Parent Contribution. Columbia requires all students to have health insurance, either through a parent or another plan. If the QuestBridge College Match student is not adequately covered by a parental plan while in New York (or abroad), the Columbia grant will be increased to pay for the $3,210 Columbia student health insurance. 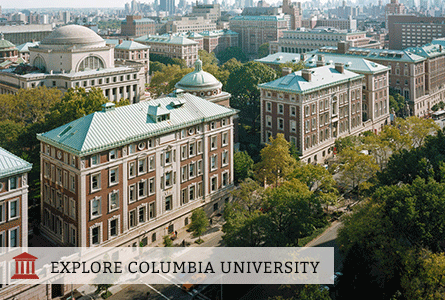 Travel costs are estimated by Columbia based on the student's primary residence. The Columbia grant will be increased to account for this expense. Travel is accounted for as an expense in the overall cost of attendance, however is not paid for by Columbia. All travel costs will be paid out of pocket by the family, as part of the Student Responsibility. Columbia offers need-based financial aid. There are no academic requirements for maintaining need-based eligibility in the QuestBridge Match Program. PLEASE NOTE: Columbia will re-evaluate each student's eligibility for financial aid each year; Columbia QuestBridge Match Scholars will need to submit updated financial information, and financial aid awards will reflect any changes in financial circumstances. Students may choose to replace their Student Responsibility with a loan. The expected Student Contribution from summer earnings and the term-time Student Employment expectation will increase every year, estimated at an increase of approximately $300-$500 each per year. Personal expenses and books are generally expected to be covered by the student work-study earnings (paid bi-weekly, directly to the student). Columbia University's mission is to help all students admitted to Columbia College and The Fu Foundation School of Engineering and Applied Science, regardless of individual financial circumstances, achieve their goal of pursuing a world class education at Columbia University. Columbia is there to assist you with your plan to pay for college. Columbia's expert staff of advisors can help your family with the financial aid application process, developing a student budget, and creating a financing plan for your time at Columbia. Columbia determines financial aid eligibility by evaluating your family's ability to pay for education costs. No Loans: Columbia's need-based aid is in the form of grants and student work only. Loans are not used to meet financial need or included in initial financial aid awards. $0 Parent Contribution: For students coming from families with calculated total incomes of less than $60,000 annually (and typical assets), parents are not expected to contribute to the cost of attendance. Because Columbia's financial aid program is need based, they determine financial aid eligibility by evaluating each family’s ability to pay for education costs. Their office conducts a thorough review of each applicant’s financial information every year, and takes many factors into consideration during their analysis. The Parent Contribution is the amount the parents are expected to pay towards educational costs for the academic year. It is based on Columbia's review of the information provided in the financial aid application; several variables are considered: total income, assets, household size/expenses, number of undergraduates in college and special circumstances. The Student Summer Work Contribution is based on a standard amount Columbia expects students to earn for their college expenses by working over the preceding summer. It may also include a portion from student assets. Most QuestBridge applicants have no additional amount expected from student assets; assets more than $10,000 that are specifically in the student’s name may increase the amount a student is expected to contribute. Additionally, a Work-Study Expectation reflects the amount students are expected to earn during the academic year. Columbia offers enhanced financial aid to support students pursuing enrichment activities and programs, including study abroad during the academic year. They also offer additional funding via the Work Exemption Program to allow students to pursue unpaid research, internship, and community service opportunities. Over half of Columbia undergraduates receive financial aid and the average award for first-year students is nearly $54,000. Learn more. Columbia is need-blind for US Citizens, Permanent Residents, persons granted refugee visas by the US, and undocumented students. As a result, the Office of Admissions considers your application without regard to your financial need. Estimate your family's net cost using our Net Price Calculator or the MyinTuition Quick College Cost Estimator on our website.